Science fair projects are a great way for students to test out their interest and aptitude for a career in STEM (science-technology-engineering-math). But they shouldn’t choose just any old topic. Try to focus on projects with real-world applications that will give them some experience in a good-paying job field, like engineering. 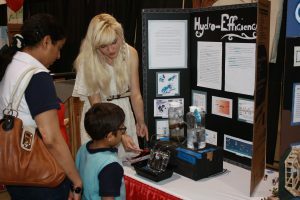 With planning and hard work, the right science fair project might bump up a student’s chances for a scholarship or a trip to the ISEF (International Science and Engineering Fair) and Broadcast Masters competitions. Consider the hottest topic in industry today – Smart Manufacturing, or Industry 4.0, sometimes called the Industrial Internet of Things (IIOT). Industry 4.0 is just one facet of the global push towards Smart Cities, Smart Homes, and Smart Agriculture. All of these concepts center on wireless connectivity between machines using cellular networks. So, for Smart Homes, this means your utilities, fridge, lights, burglar alarm, HVAC, and other systems would be connected together through an app on your smartphone. From there you can track and control these systems to keep your home comfortable, while reducing water and energy use and increasing security. In Industry 4.0, companies are connecting the machines used in their manufacturing and power generation plants at different locations around the world. On top of that, they are creating “digital twins” of each machine, which are 3D animated computer models of the machines. They want to collect real-time data from each machine and then use that data, along with artificial intelligence (AI), machine vision, and even virtual reality simulations, to design new products, predict when a machine will need maintenance, or optimize the output of the machines and harmonize them to work together. The goal is to increase productivity, reduce production costs, increase accuracy, minimize energy and water use, and reduce waste. Another major topic in industry is robotics and automation. Automation means that machines are programmed to perform tasks without human help. Basic categories of robots include standalone, “service” robots, like the Roomba. Then there are the robotic arms used in factories to pick and place items. And lately there are more human-friendly “collaborative” robots that improve human capacity and are safe to work around. Put together, these technologies allow some manufacturing plants to run “lights out,” without any human input for days. Robots are already boosting agriculture, both in planting and harvesting fields and in packaging food. Soon, farmers will be using Smart Agriculture technology, collecting data in their fields with mobile apps and applying artificial intelligence (AI) software to reduce fertilizer needs and optimize water use. Most science fair projects on the internet seem to focus on basic sciences, like biology and chemistry. But in light of the importance of manufacturing to our country, as well as the skills gap we are now experiencing between the available job force and industry requirements, I believe engineering-focused science fair projects centered around Industry 4.0, robotics, automation, and construction may be better choices for building up tomorrow’s workforce. In this projects, students learn how wireless networks work, find dead zones where wireless signals are lost, and determine ways to reduce these zones – important preparation for students who hope to work on Smart Homes, Smart Factories, Smart Cities, or Smart Agriculture. Robots are the future of manufacturing, agriculture, mining, and construction. This project teaches about different types of sensors that help robots navigate through a maze – just like a robot may need to navigate a warehouse or machine shop. Sensors of all kinds are important to the smart technologies of the future. This project compares the effectiveness of two types of sensors in a smoke detector. In our digital world, electricity is essential – as we quickly discover during a power outage. There is serious concern that an enemy could disrupt our power grid with a gigantic electro-magnetic pulse (EMP). This project investigates a way to protect electrical devices and the power grid using a Faraday cage. Radio Frequency Identification (RFID) is an electronic technology used in credit cards, ID Cards, and theft prevention systems, as well as in manufacturing, warehousing and shipping products. The first project measures the electromagnetic fields (EMFs) given off by various RFID transmitters, which may have harmful effects on people. The second project looks directly at how EMFs can affect us physically. Metals rust, and that can be a big problem when it comes to bridges, buildings, cars, and any object exposed to air and water. This project examines the process of oxidation (not just rust) that ultimately breaks down every physical object, and looks at ways to prevent that from happening. For more engineering science fair project ideas, follow me on Pinterest. 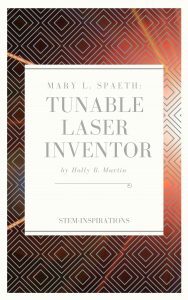 Check out this list of stories by Holly B. Martin about women in STEM careers at my new STEM-Inspirations™ website. This entry was posted in Blog, Blog, STEM and tagged aerospace, engineering careers, FIRST Lego League, IIoT, Manufacturing, materials, physics, Robotics, STEM, STEM careers on October 14, 2018 by Holly.